ASUS’ ROG Phone is undoubtedly one of the most interesting phones to come out this year, and it’s now available in India (Buy from Flipkart for Rs 69,999). 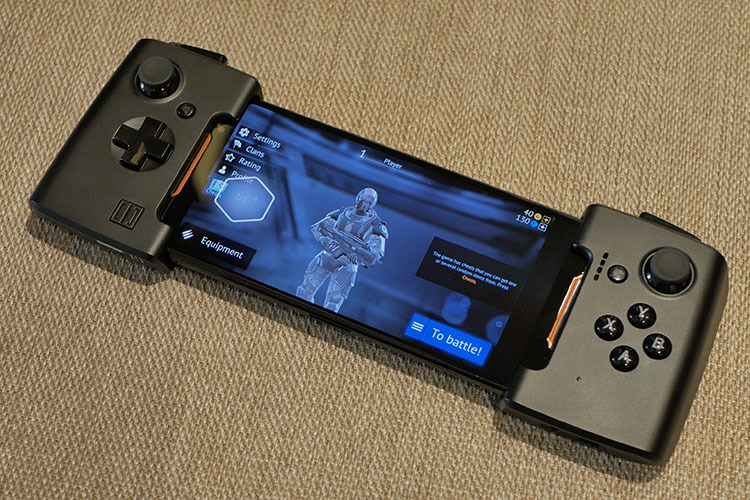 Some may say that ASUS is trying way too hard to make gaming phones happen, whereas others truly believe that the Republic of Gamers branding brings the innovation smartphones needed in 2018. Well, I personally am a huge fan of ASUS’ Republic of Gamers portfolio, and the ROG Phone is no exception. The ROG Phone is a looker, there’s no doubt about it. But if you want to keep the phone looking fresh, then you might want to invest in a case. 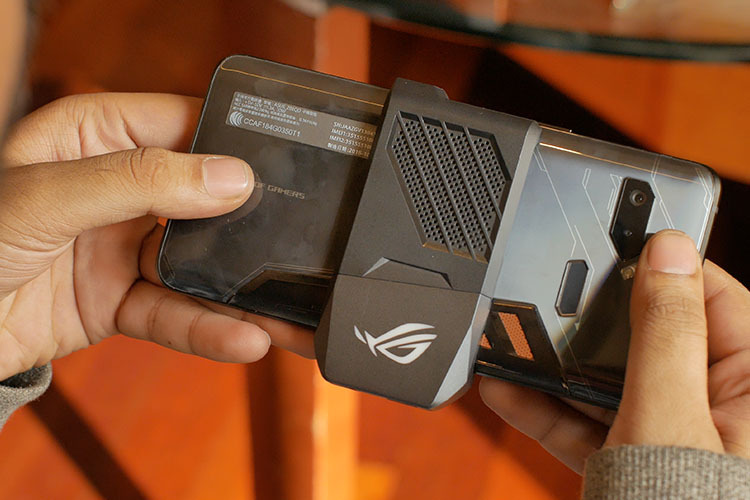 The ROG Phone case is ASUS’ official case, so it fits perfectly, even though it’s priced at a hefty Rs 2,499. It also replicates the cool design of the phone, and has a window for the Aura-illuminated ROG logo. It also gives you full access to the exclusive AirTriggers on ROG Phone, which is just awesome. 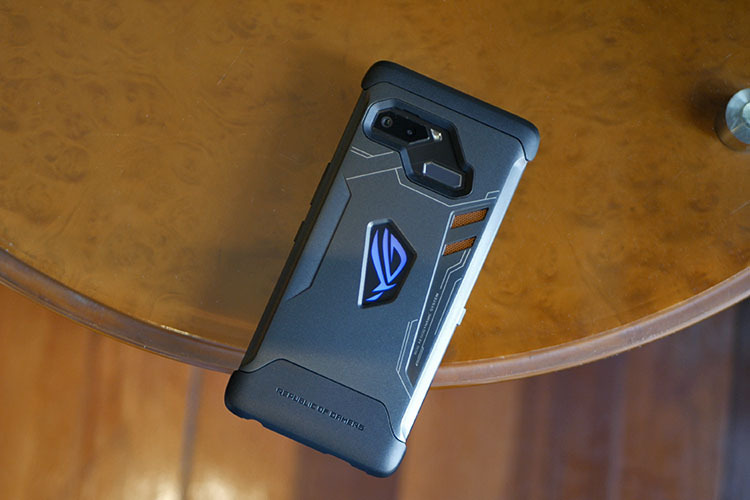 According to ASUS, the ROG Phone case provides tough everyday protection against dust, knocks, scratches, bumps, etc. Well, having used the phone with the case on, it is safe to say that it’s case you should be getting in case you plan on buying one. ROG Phone is the world’s first smartphone with a 3D vapor-chamber cooling system called GameCool. But ASUS is also bundling the phone with an AeroActive cooling fan, which is essentially a clip-on cooling fan for the phone. Sounds like an overkill, right? You bet. It adds a USB-C port & a headphone jack! It comes with a fan (duh!) and also vents for heat dissipation. It connects to the phone via the USB Type-C port, but it adds a port of its own and a headphone jack, so you don’t have to worry about missing out on anything. And yes, it also has an RGB ROG logo. Thankfully, you don’t have to pay for this accessory as it comes with the retail package of the ROG Phone. 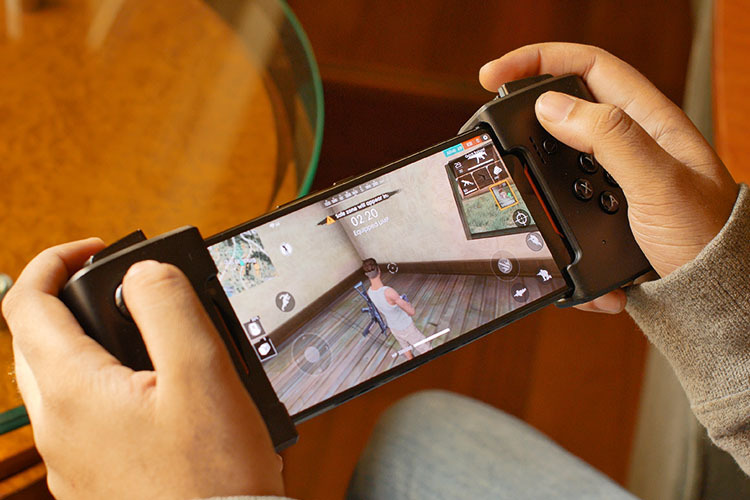 The GameVice controller adds a inventory of physical gaming controls to the ROG Phone. With this controller, you can get dual analog joysticks, left and right fire triggers and bumpers, a D-pad, along with A, B, X, Y and L3, R3 buttons. 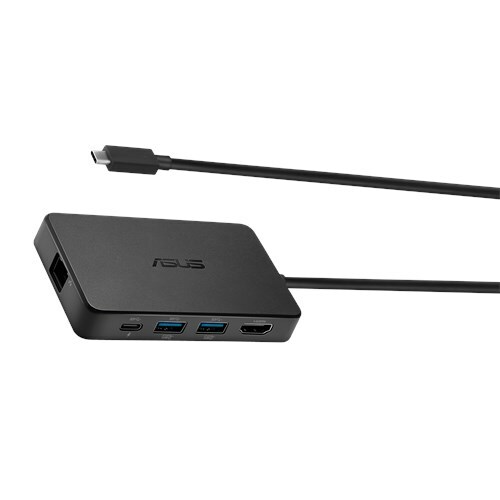 The GameVice controller is best when paired with the ASUS WiGig Display Dock for an immersive big-screen gaming experience. Unfortunately the WiGig Display Dock is not available in India due to some regulatory hurdles. You can bu the GameVice Controller for Rs 5,999. 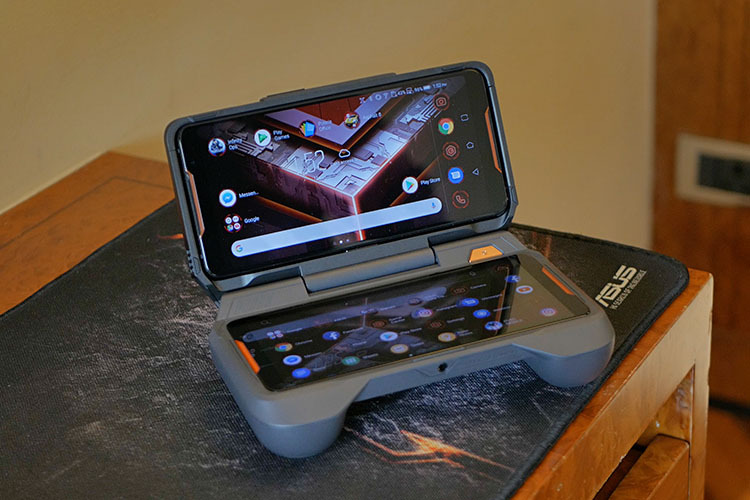 The TwinView Dock turns the ROG Phone into a powerful dual-screen console by adding things like the front-facing quad-speaker system, two extra physical trigger buttons, haptic feedback engine, etc. It also has an enhanced cooling system and a 6,000 mAh battery to keep you hooked on to your game. With TwinView Dock, you can also extend your game to the second screen, and use it for things like viewing maps, inventory, etc. Heck, you can even use it for text and video chat, which is really handy when you’re, say, streaming your game live. This one is the most expensive of the accessories and is priced at Rs 21,999. 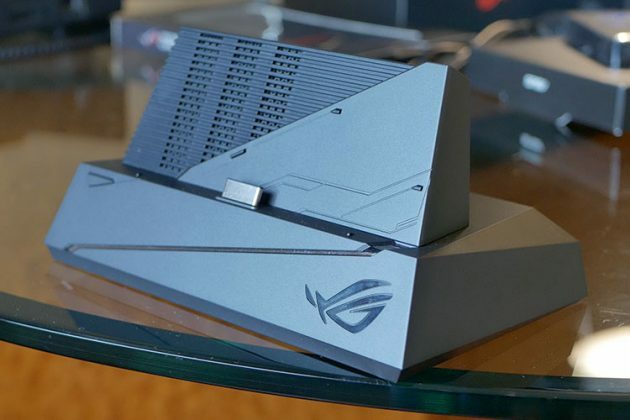 There’s also the ASUS Professional Dock, which you can use to connect your smartphone to a TV or monitor for a more cinematic gaming experience. Unlike the Desktop Dock, where the phone is slid into the dock (see below), the Professional Dock lets you hook up the phone to a dongle-like dock using the Type-C port. You get an Ethernet port for wired internet connections, an HDMI with [email protected] support, two USB 3.1 Type-A ports and a single USB 3.1 Type-C port as well. This one is priced at Rs 5,500 and is the most affordable of all the accessories – besides the case. If you want to take your experience to the next level, then you might want to check out the Desktop Dock. 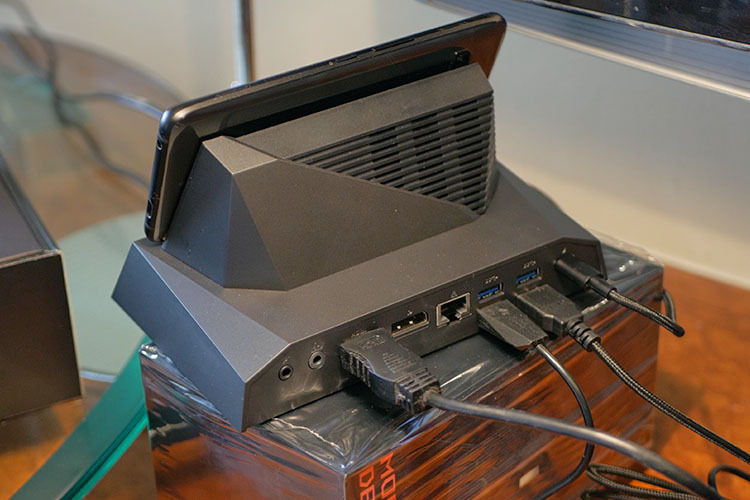 As the name suggests, this dock essentially turns your phone into a mini-console, with which you can connect to an external 4k UHD 60Hz monitor, a mouse, keyboard, and all that good stuff. You can also hook up your ROG Phone to a wired gigabit LAN and use the S/PDIF output to drive your dual-channel 10 stereo-sound system with the help of this dock. How awesome is that, really? Also, as you can see, the dock has a huge selection of ports including 4K 60Hz HDMI output, 4K 60Hz Display port, USB 3.1 Gen 1 Type-A, USB Type- C port for charging. This is, without a doubt, one of the favorite accessories that we’ve tested in a while. This one is priced at Rs 12,999 in India. Well, those were some of the cool accessories which you can get for the ROG Phone. The ROG Phone has been launched in India for Rs 69,999, and it’s available to purchase starting today on Flipkart. The ROG Professional Dock will be available at Rs 5,499, while the GameVice joystick accessory is priced at Rs 5,999. When it comes to the TwinView Dock, you will have to shell out Rs 21,999, and Rs 12,999 for the Desktop Dock. Finally, the ROG Phone Case comes at a hefty Rs 2,499. The total price of the phone and all the accessories will come to Rs 1,18,994. There’s no word about the launch of accessories, though. But we’ll keep you post as and when the accessories go on sale in India, so keep your eyes peeled.